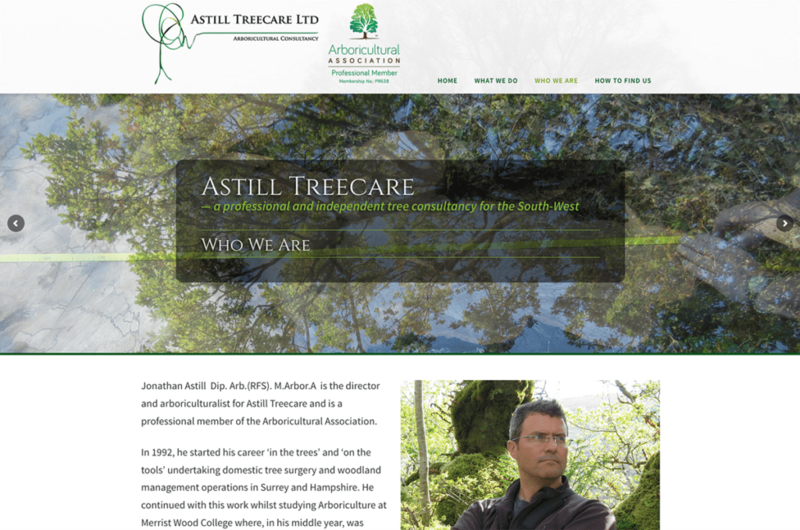 Jonathan needed a smart, clean and informative brochure website to give prospective clients the lowdown on what the company does, how to engage them, and to provide useful advice. 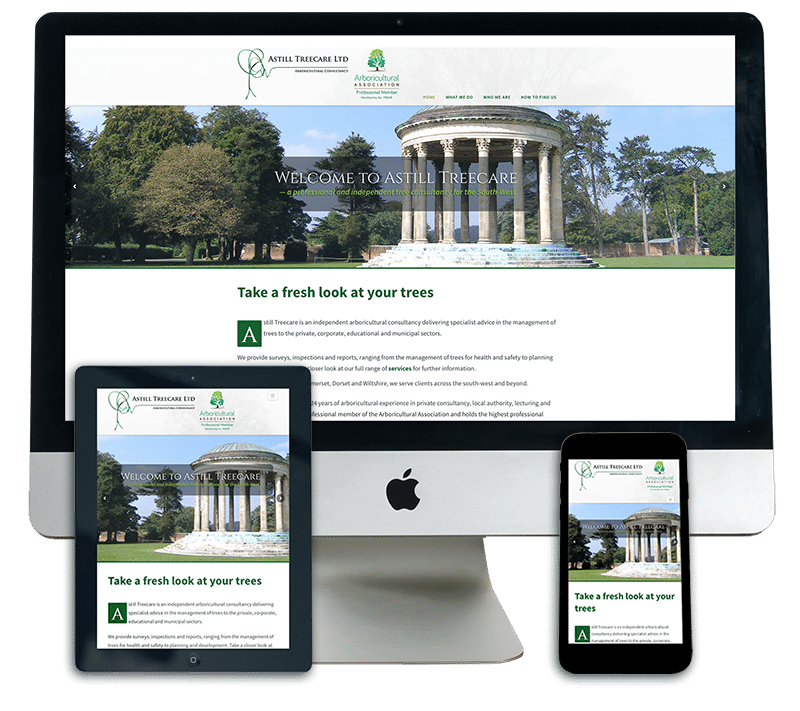 Digiwool designed a beautiful and elegant website that responds to whichever device it is being viewed on resulting in an optimised experience for every visitor. 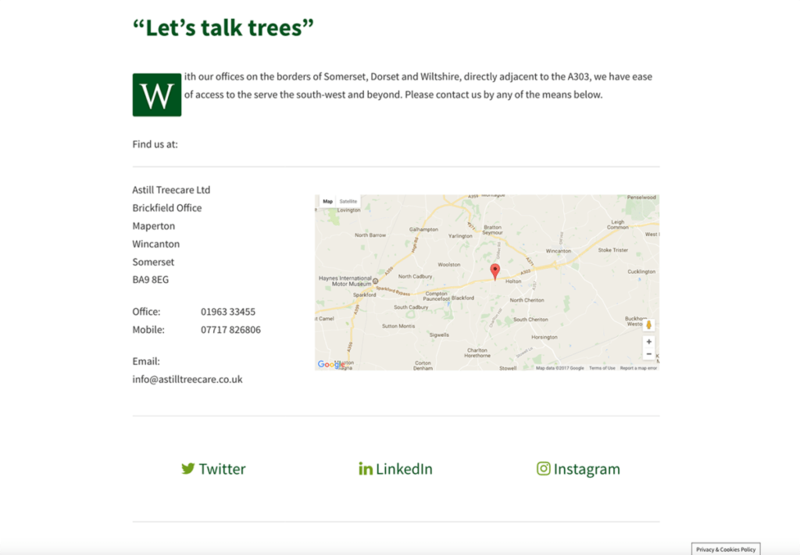 And when visitors find a website easy to navigate and easy to get the information they need, they’ll be far more likely to click the Contact page and send you an email. 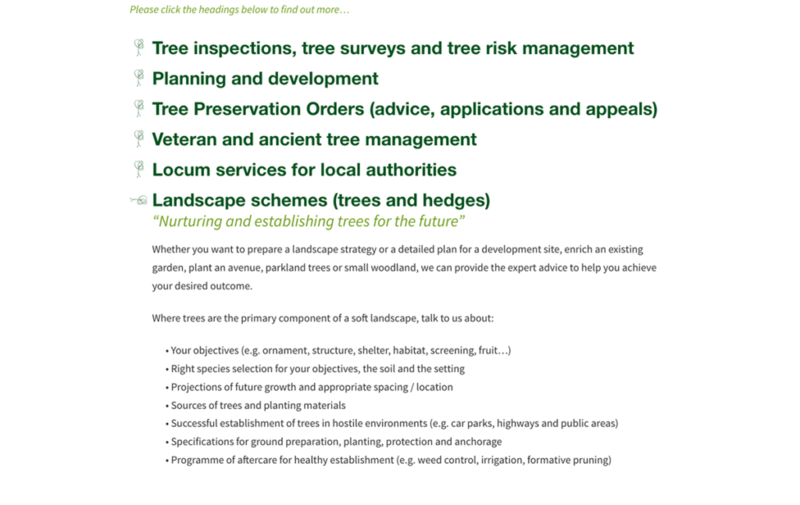 I used some animated bullet points, or ‘feature items’ to hide information that wasn’t required to be on screen all the time. 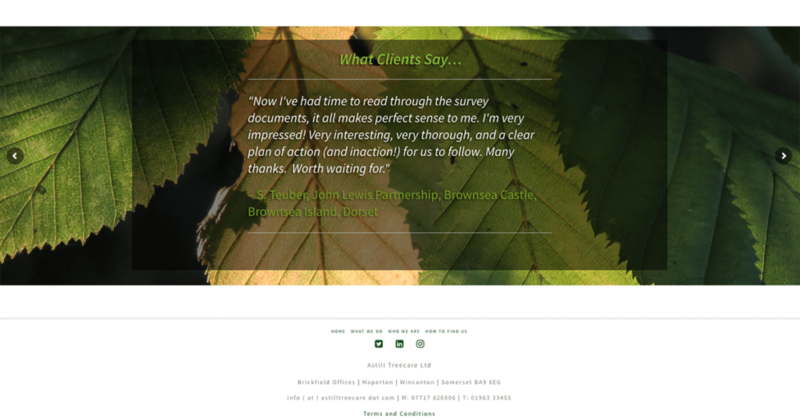 This was a feature specifically requested by Jonathan and I was happy to oblige — I like seeing moving parts in my websites! 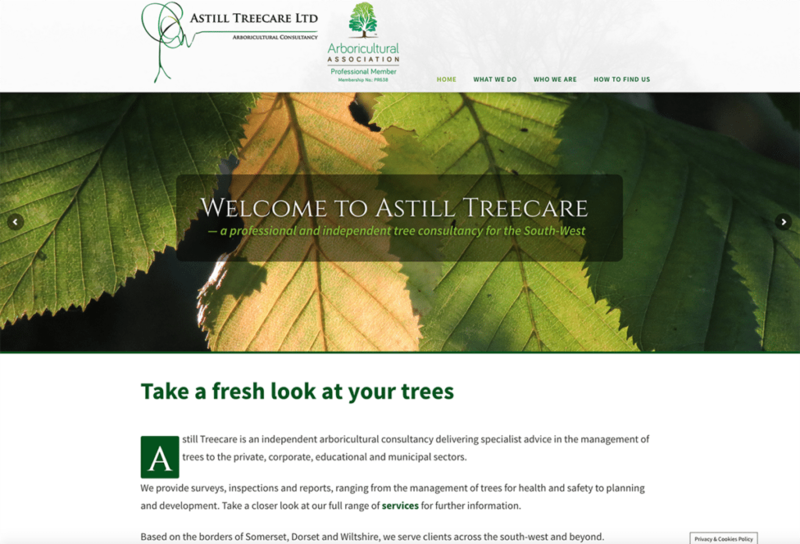 So I hope you’ll agree, Astill Treecare’s website design is elegant, informative and crisp.